I am still not over the fact that this picture got over 5K likes on Instagram. 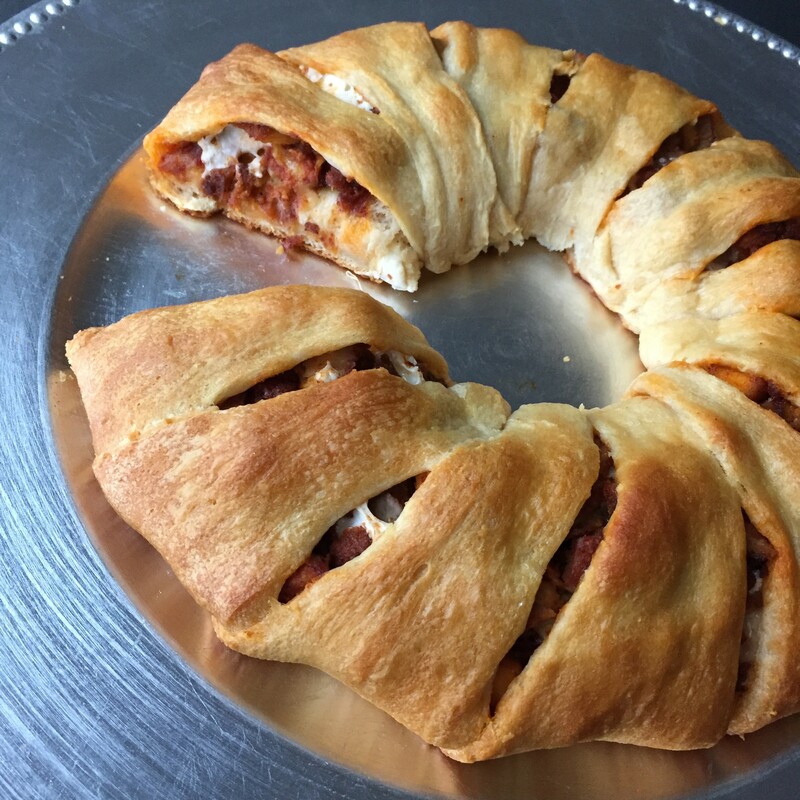 It’s the silliest thing I’ve probably ever made, but I suppose it’s impressive looking and great for entertaining. And, if I’m being honest, it’s pretty damn easy to do when you’re using leftovers and some chopped up mozzarella. 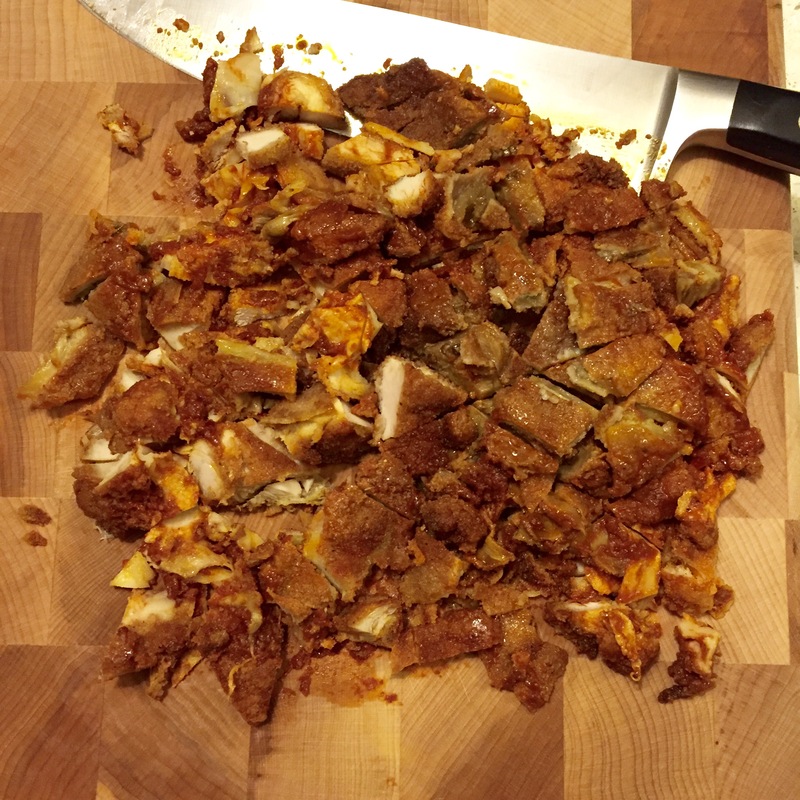 A lot of you have been commenting and asking me for the recipe, so here you go! You can also find many different variations of this on Pillsbury.com. Note: I had a few triangles leftover that I didn’t use. So instead I used them to make pigs in a blanket. #imagination. Chop up your leftovers into bite size pieces and chop the mozzarella into cubes. Mix together in a medium sized bowl. Set aside. 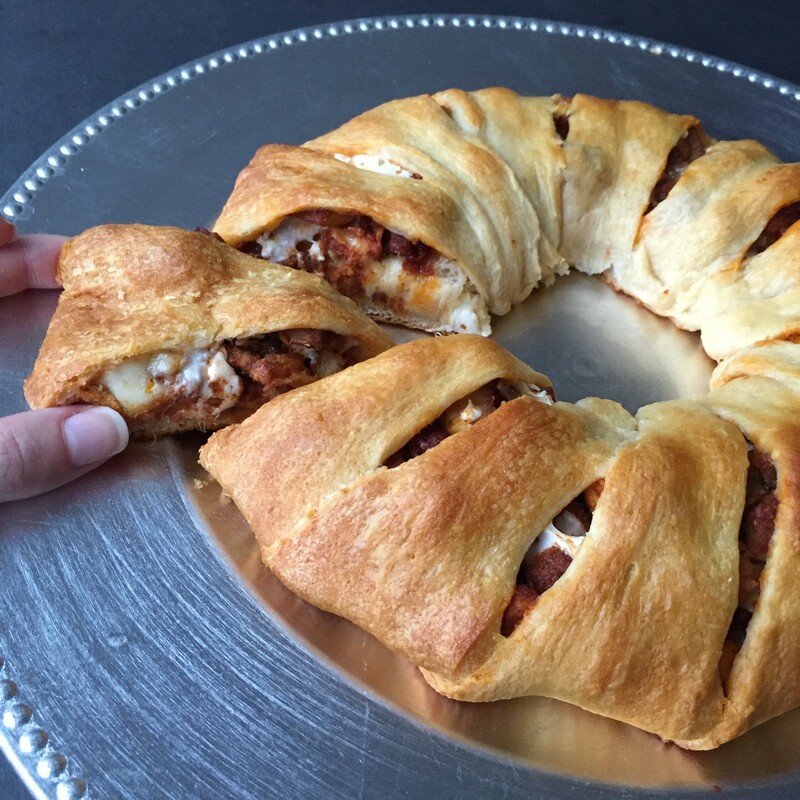 Unroll the crescents and separate them into the triangles. 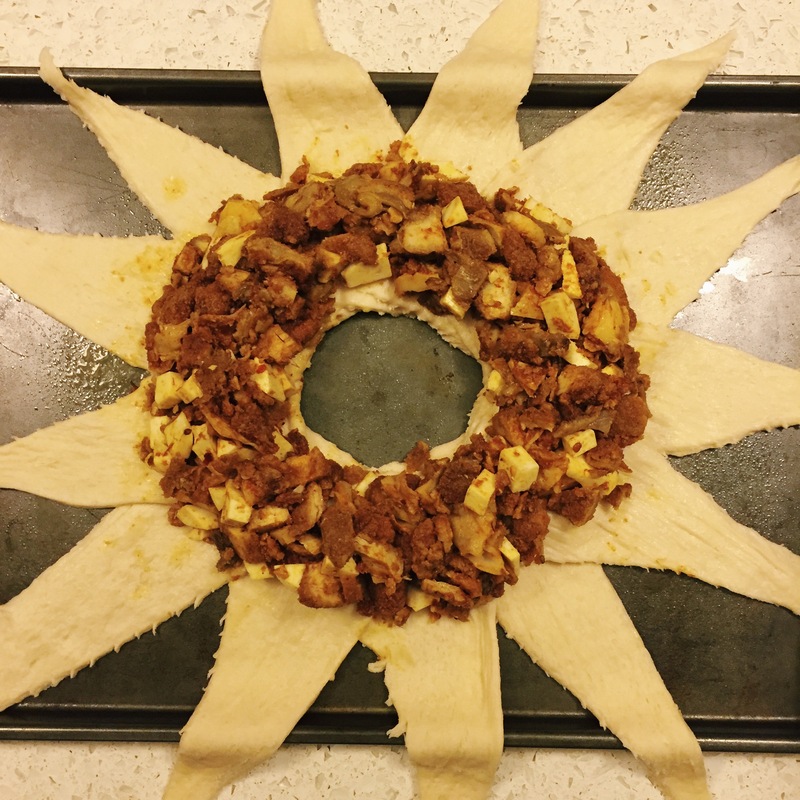 Layer them in a ring shape on an ungreased large cookie sheet, so short sides of triangles form a 4-inch circle in center. The dough will overlap on short sides, and half of each triangle will hang over edges of cookie sheet. 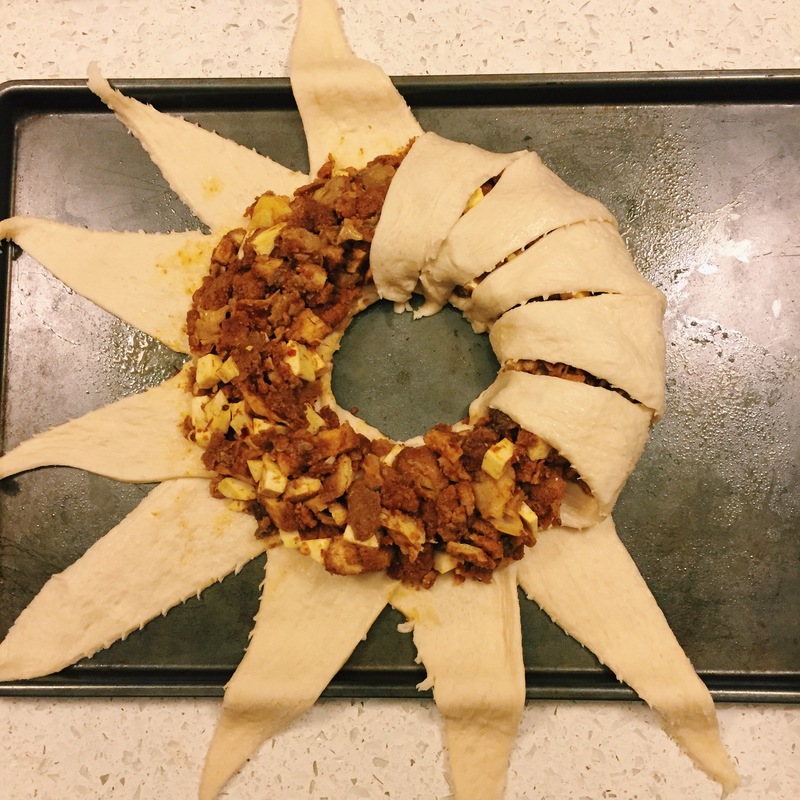 Dough ring should look like a sun, see below. 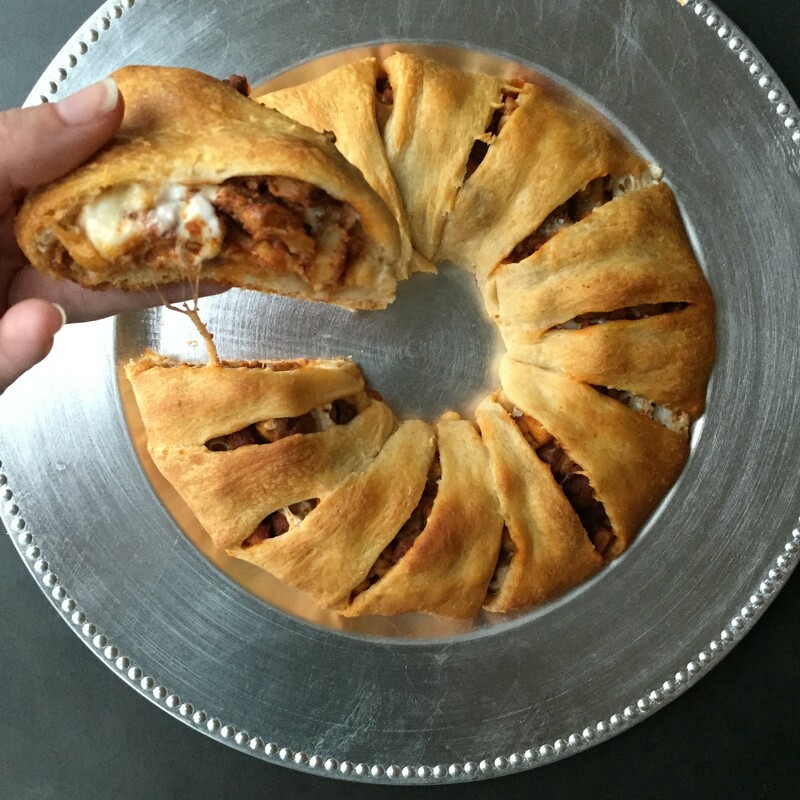 Place the chicken/eggplant/mozz mixture in a ring shape (or circle) around the inside of the crescent ring. Picture below because I don’t know how else to describe this. 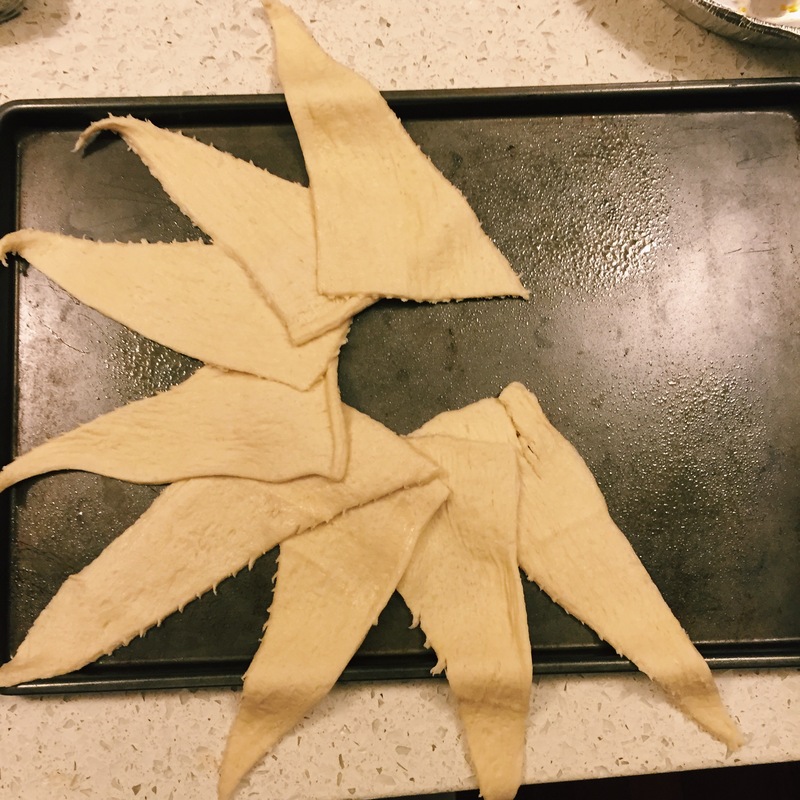 Fold up each piece of the triangle crescents and tuck underneath until the whole thing is done. Again, see below. It’s easier than it sounds! You want the filling to peek through a little, so gently separate the dough on top so you can see the perforations. Bake at 375 for 15-20 mins until golden brown. Slice and serve! In this case, you could also have a small bowl of marinara on the side for dipping. NOM! Enjoy. 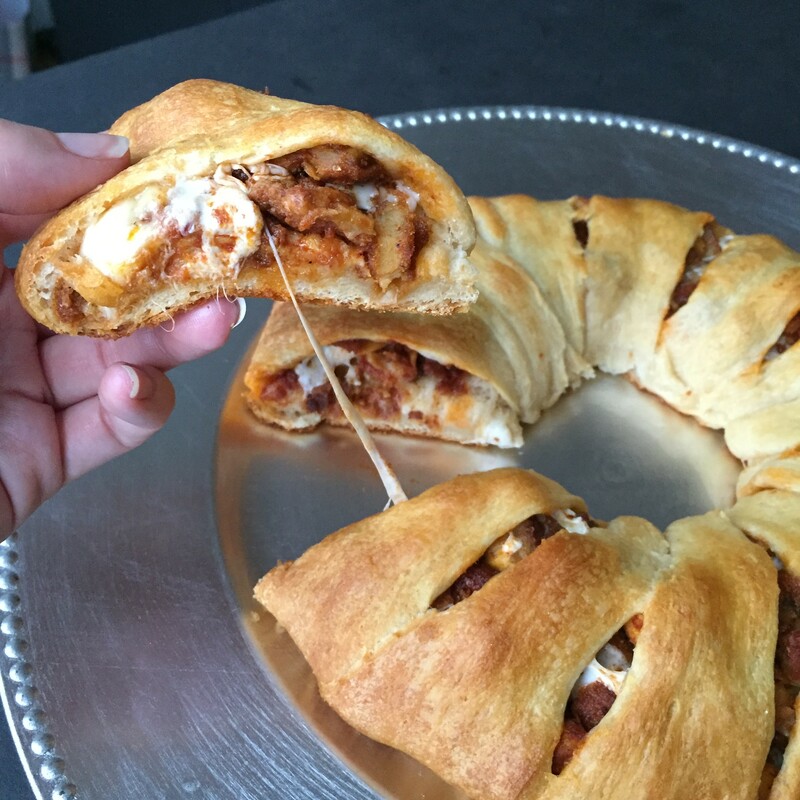 And check out this buffalo chicken one I saw online. HI SUPER BOWL PARTY.